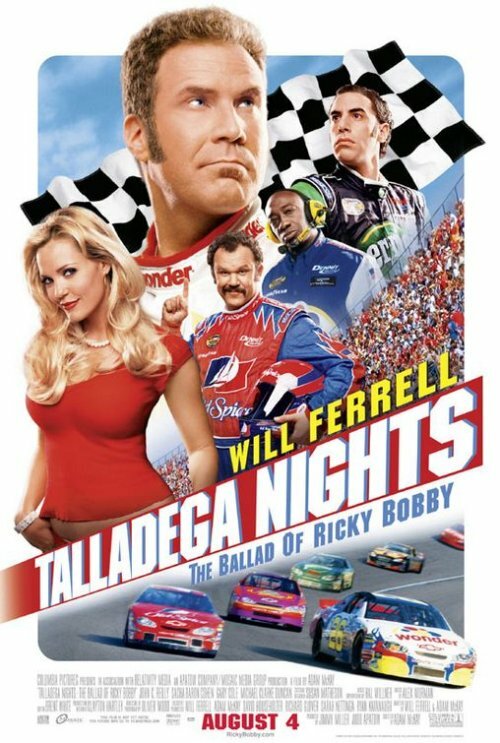 I think it’s interesting to compare this new Hot Rod poster with this poster from Talladega Nights. Both are recent comedies with sports related themes. And both went with a poster featuring the main character starring into the distance, with several of the other characters floating around them. However there are also some differences. 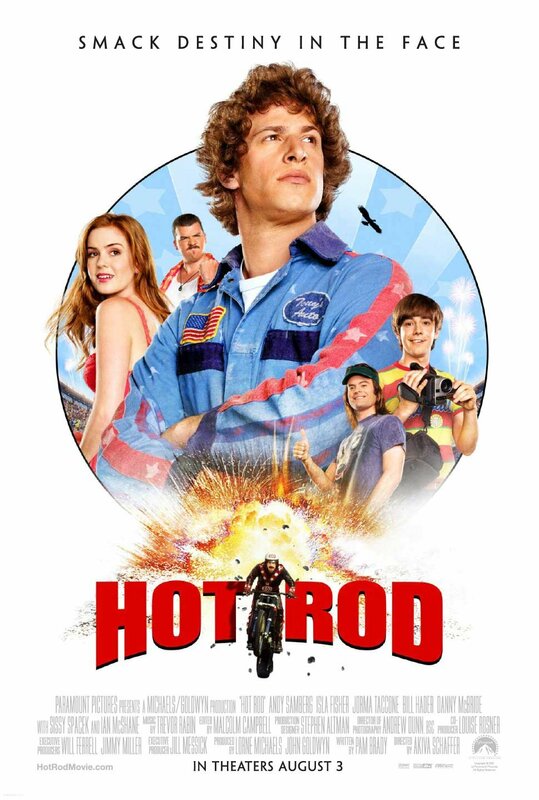 The poster for Hot Rod features a lot more white space and is generally less busy than the Talladega Nights poster. It also has more of a vintage feeling to it. And of course, only one poster has Will Ferrell in it. Which is a very significant difference since Will’s face is enough to get millions of butts into the theater seats. I quite like the Hot Rod poster, even tough it’s not an especially original design. It’s manages to walk the line of being funny without being ridiculous. But I’m still worried that this movie might need more creative and bold posters in order to sell it, since it lacks any big names or an attention grabbing premise. Will Ferrell as a Nascar racer sells itself. Andy Samberg as a deluded stunt man not so much.